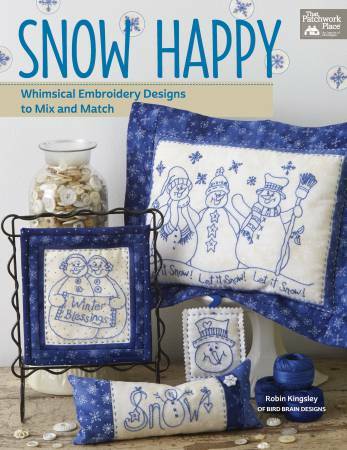 As record breaking snows hit the East coast, Robin Kingsley of Bird Brain Designs has released her new book – Snow Happy. 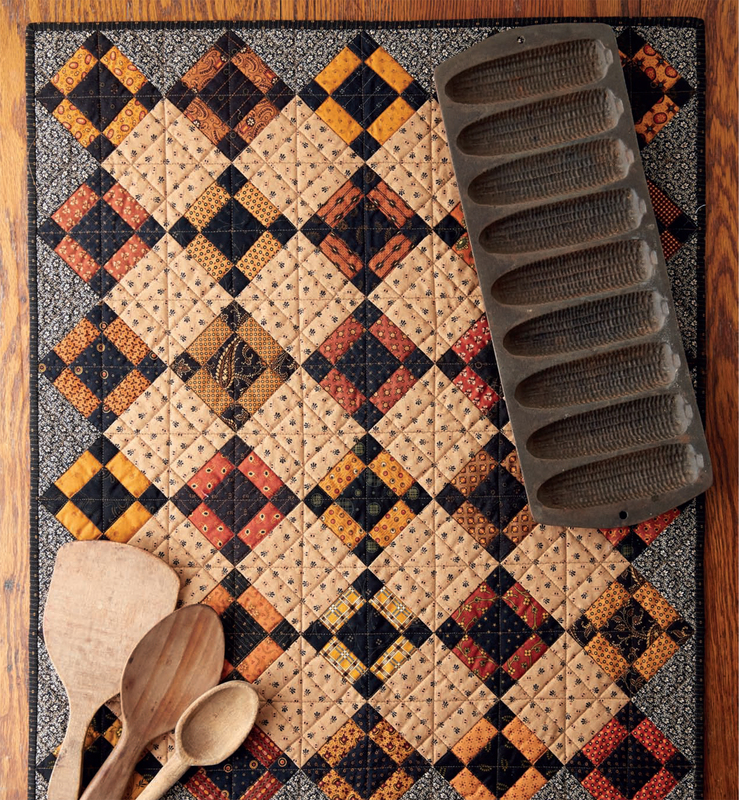 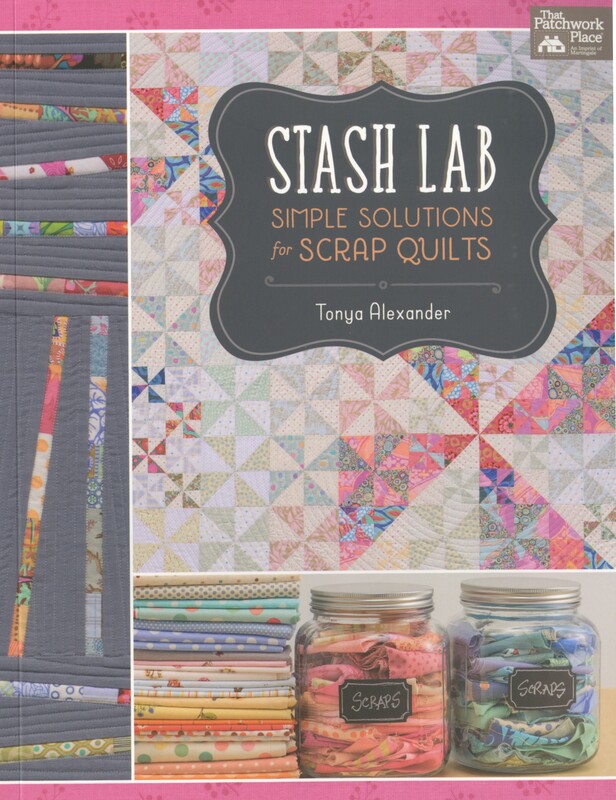 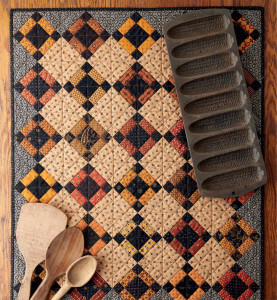 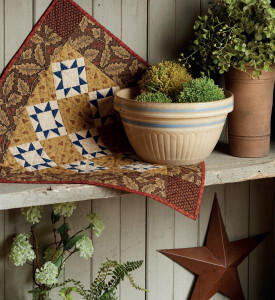 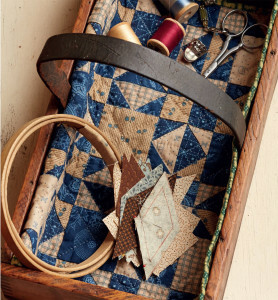 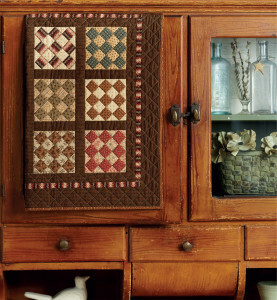 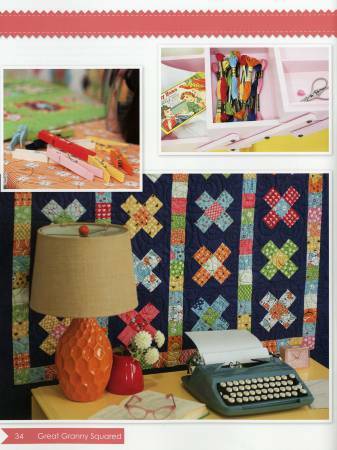 Why not sit by a fire and stitch one of these projects while you are longing for Spring? 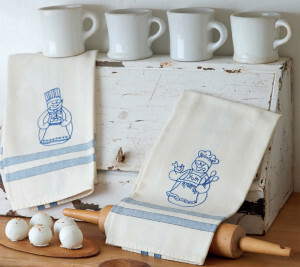 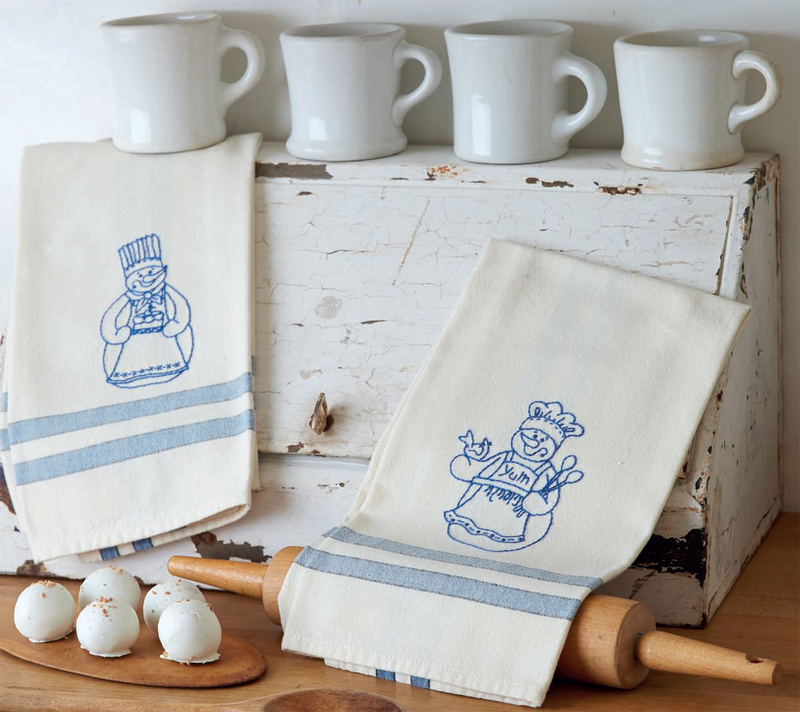 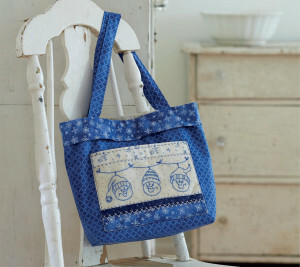 This collection of hand embroidered designs are sewn into a wide variety of projects from towels to totes. 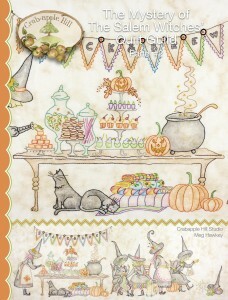 I love everything Robin designs! 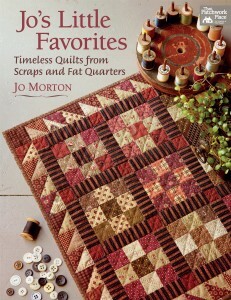 And did I mention that she is one of the most charming ladies I have ever met? 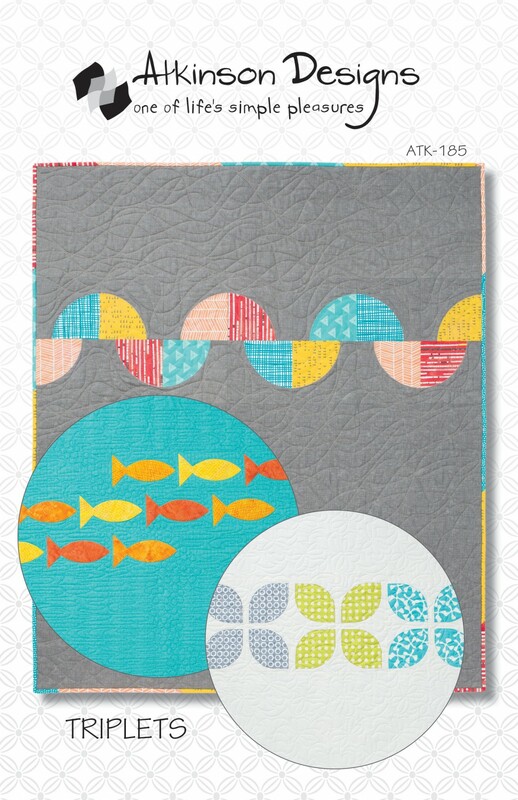 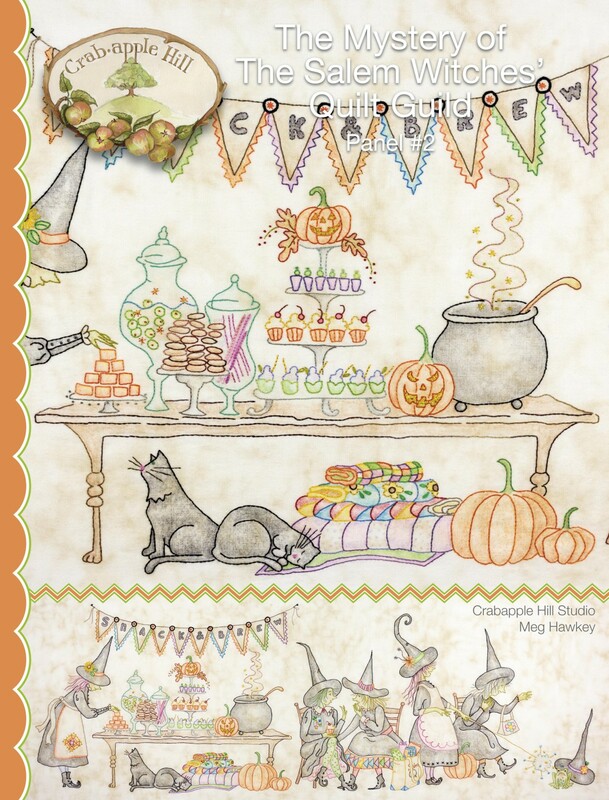 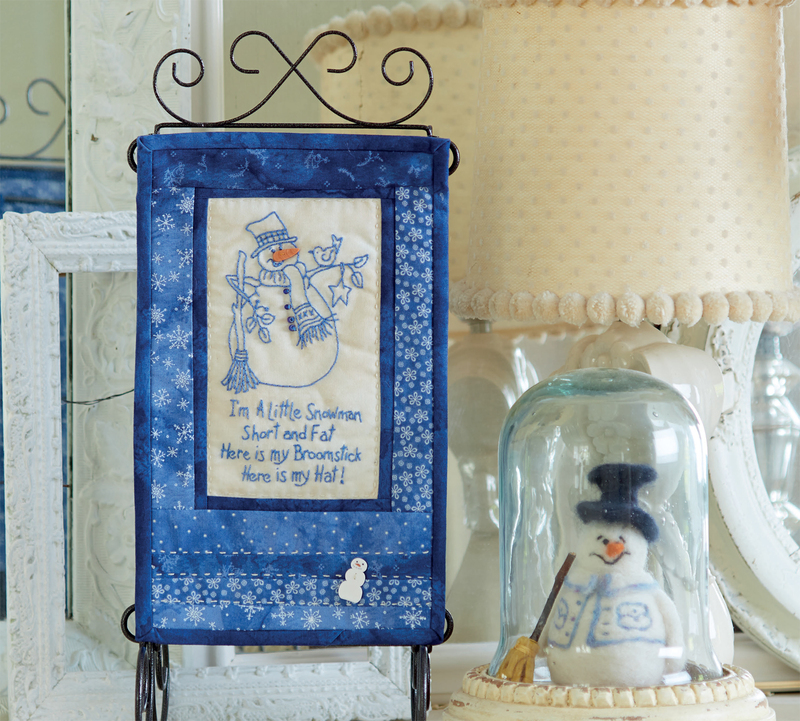 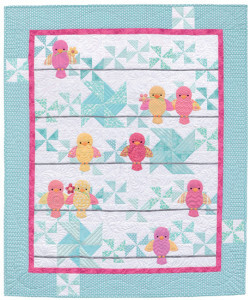 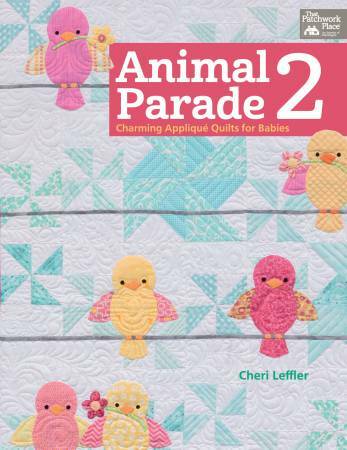 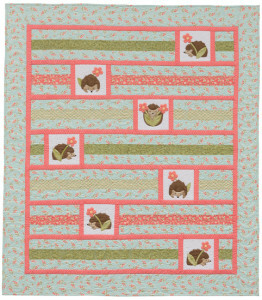 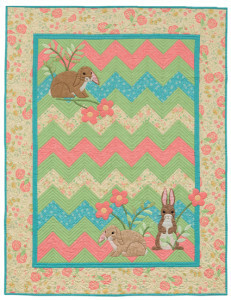 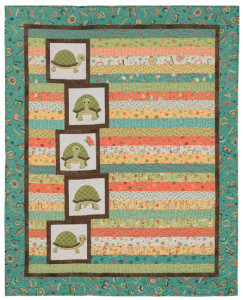 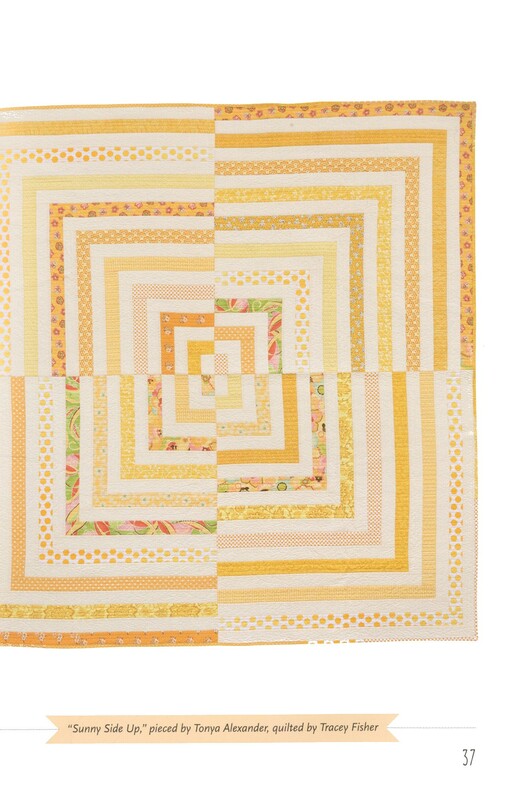 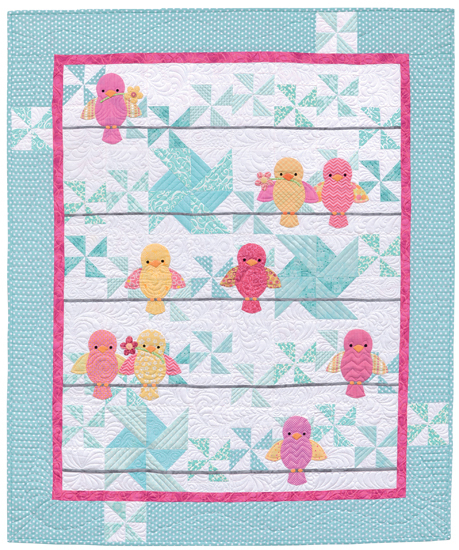 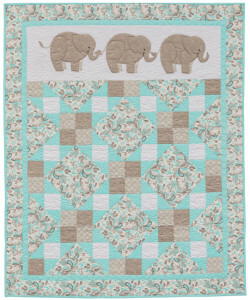 These designs are so charming you will want to incorporate them into other projects. 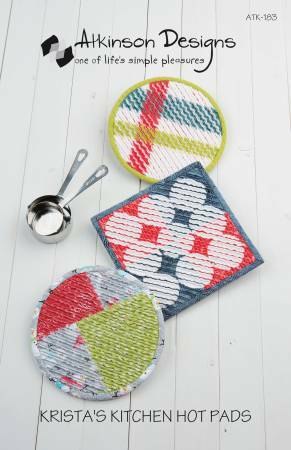 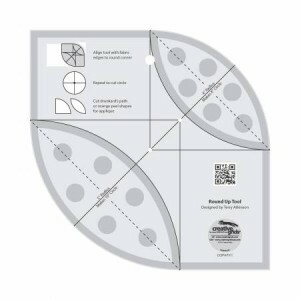 Why not stitch them up into your favorite design today? 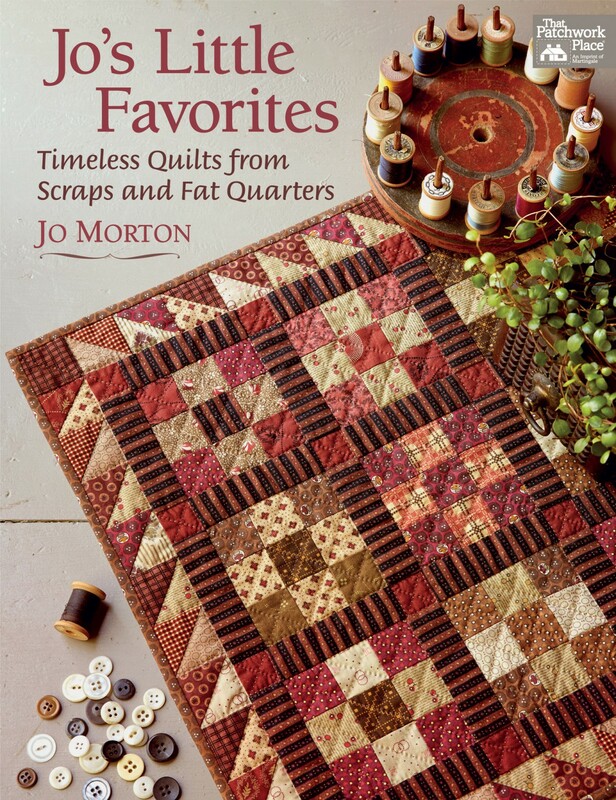 Order now – these books will be arriving any day! 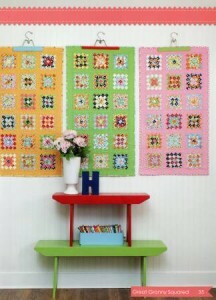 I love everything designed by Meg Hawkey of Crabapple Hill. 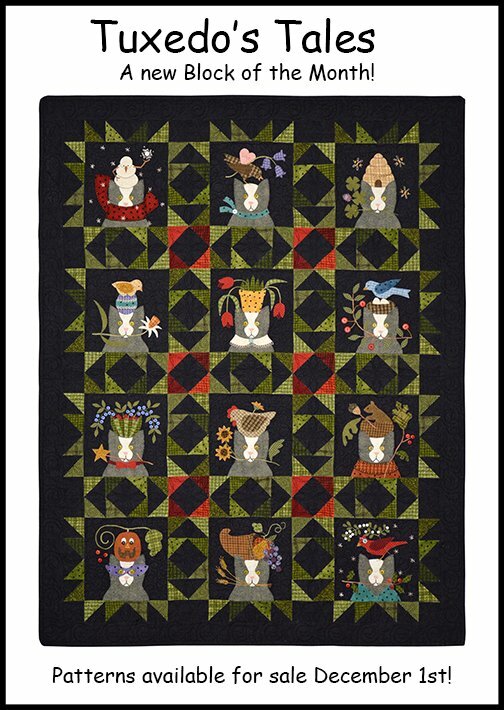 Her latest – Mystery of the Salem Witches’Quilt Guild will be released in four parts the next several months. 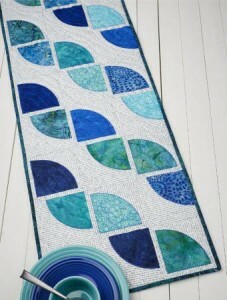 This panel measures 15″ x 42″ and uses her technique for coloring with embroidery. 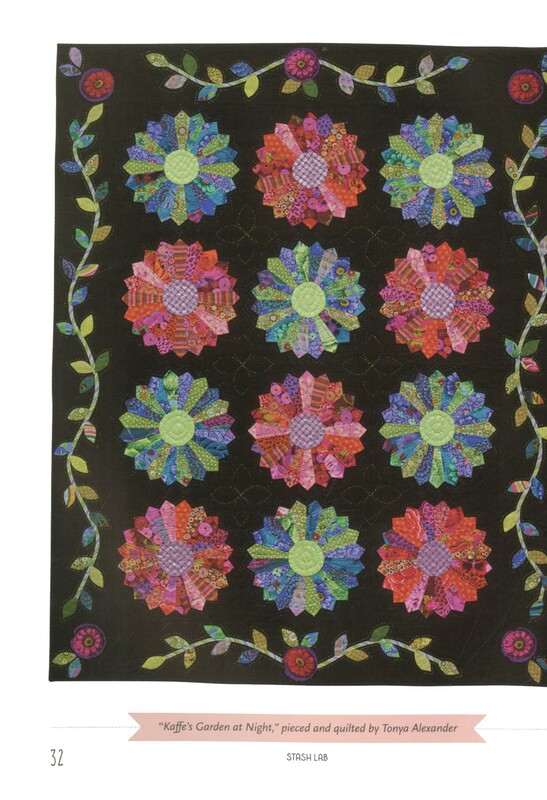 This is the perfect next step for those new customers who have embraced the adult coloring craze! 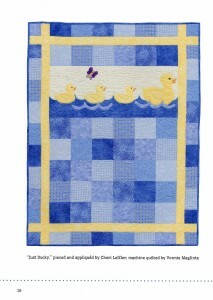 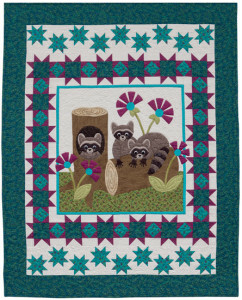 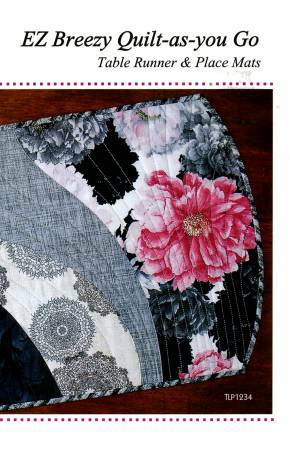 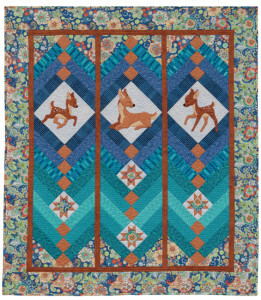 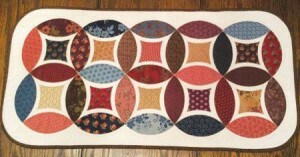 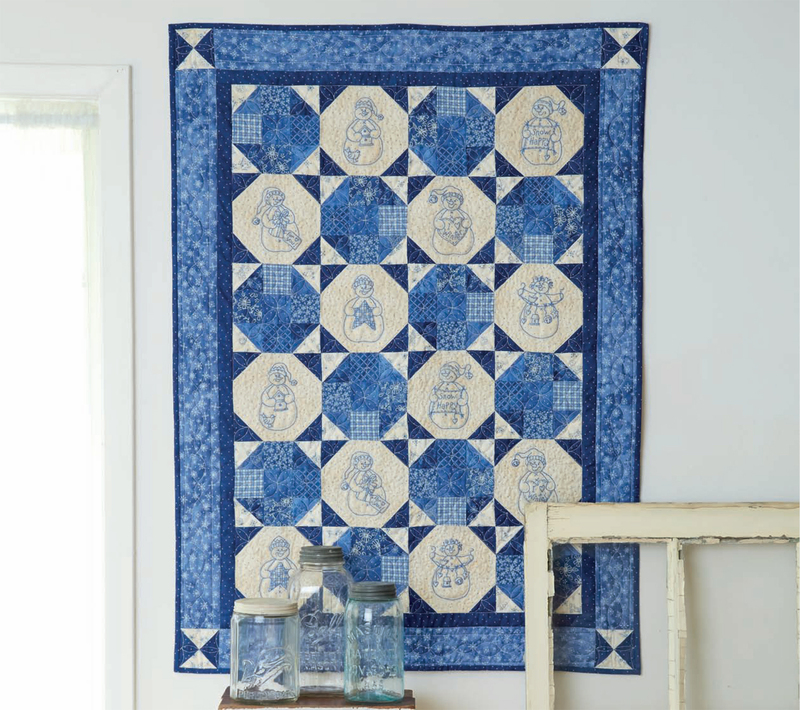 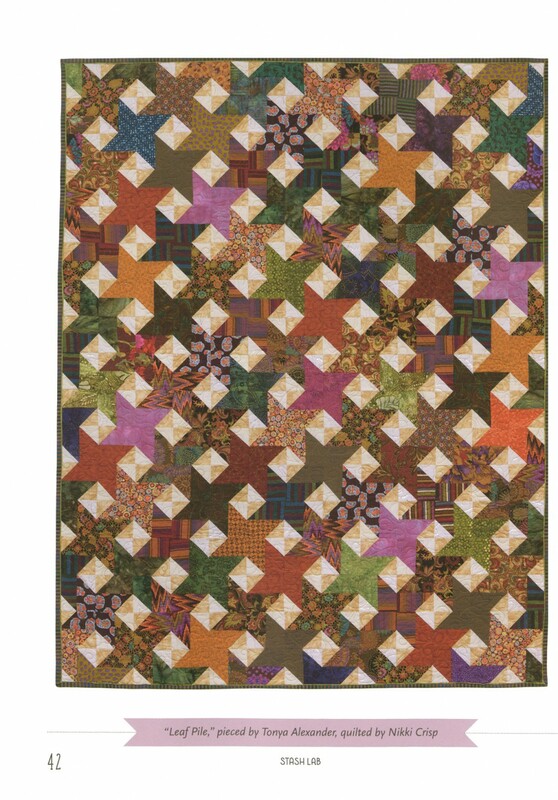 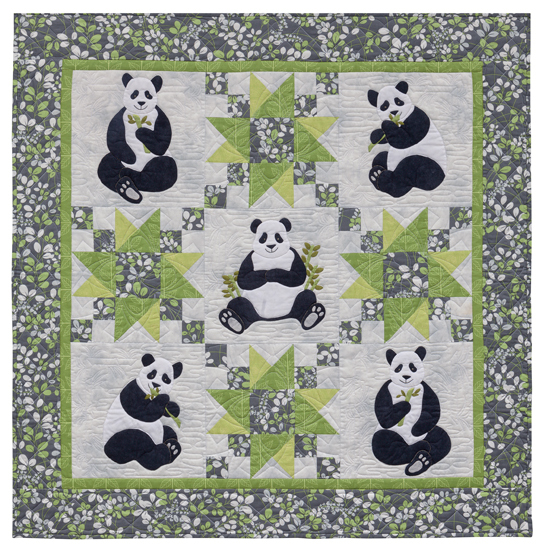 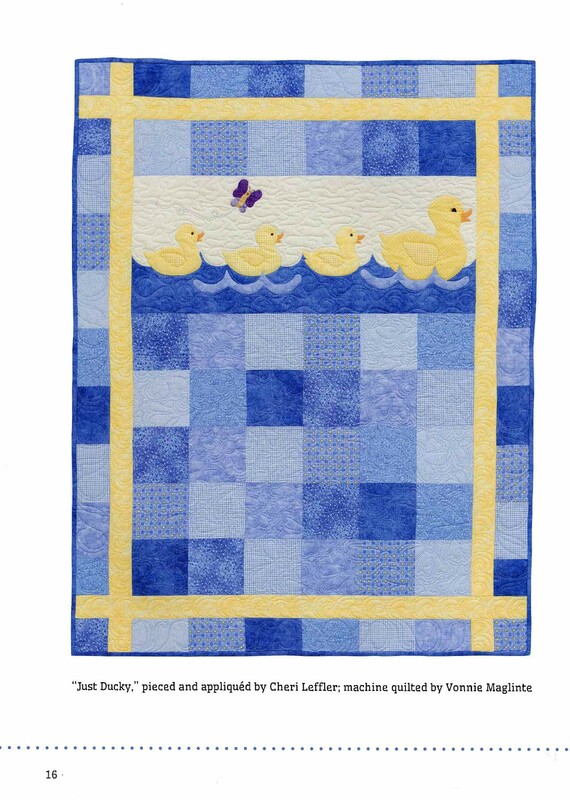 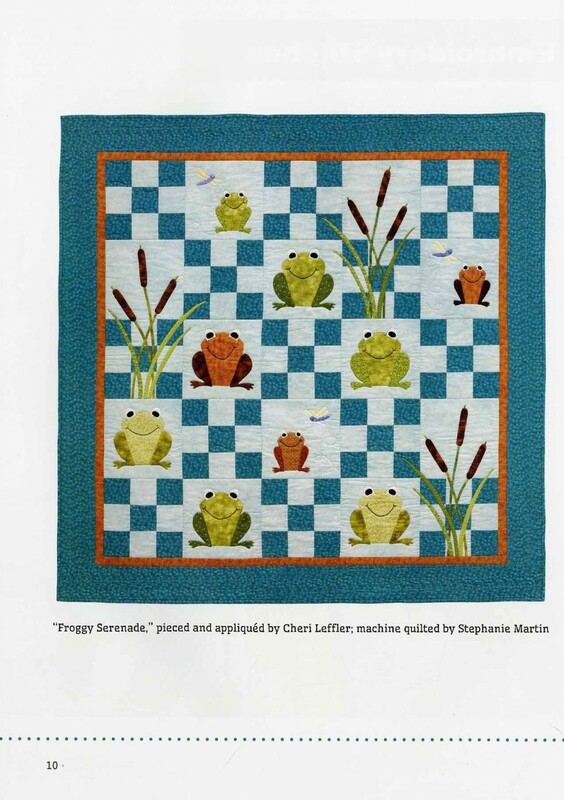 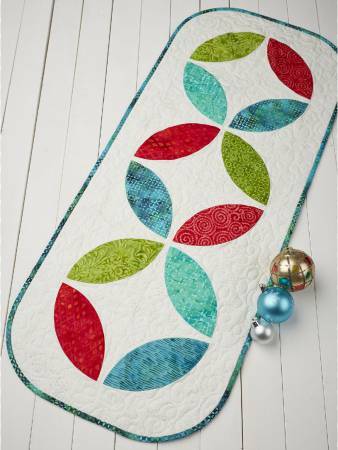 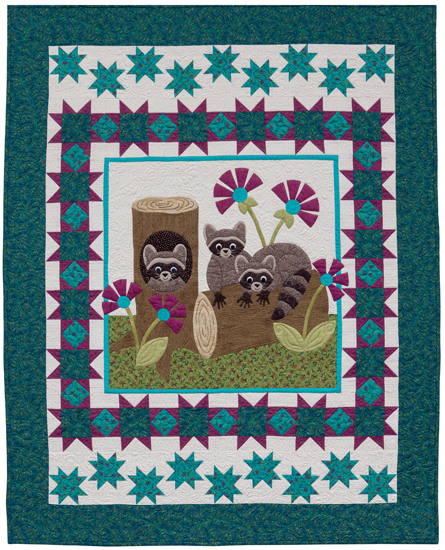 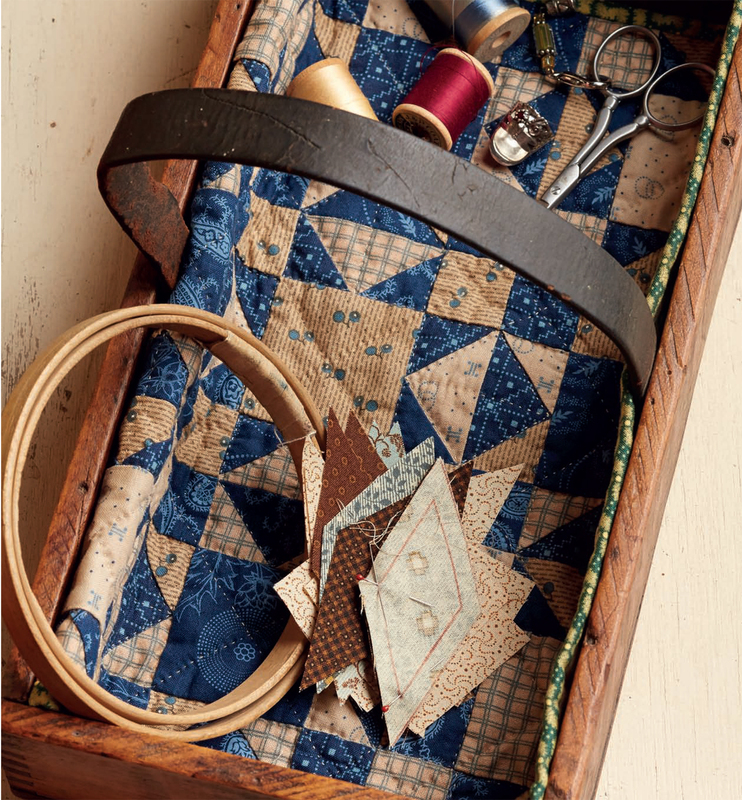 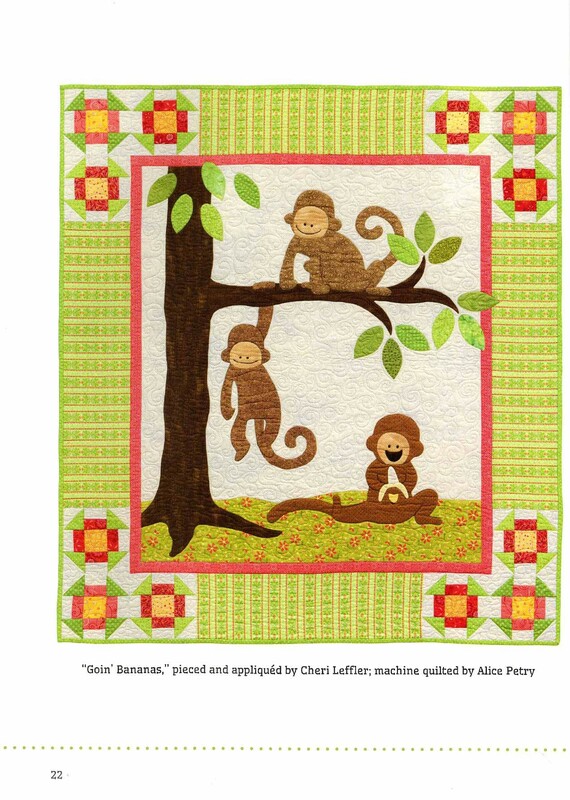 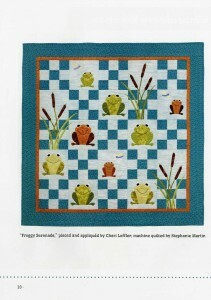 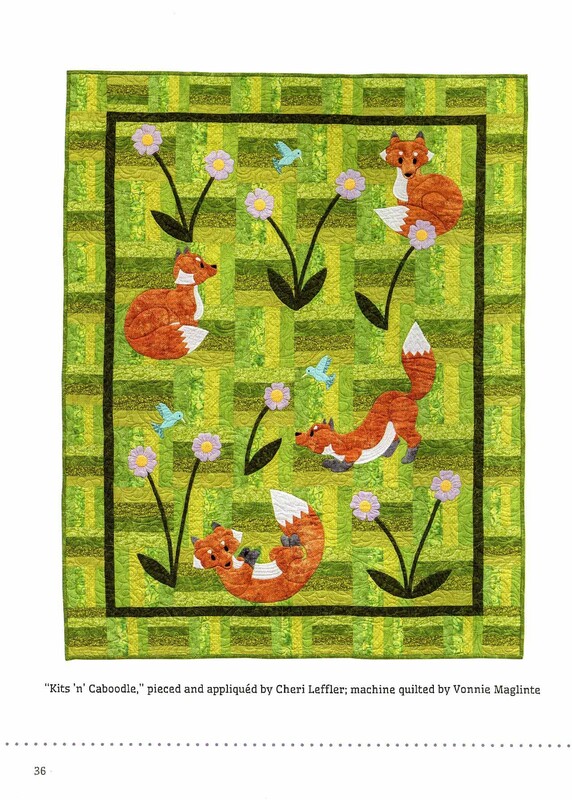 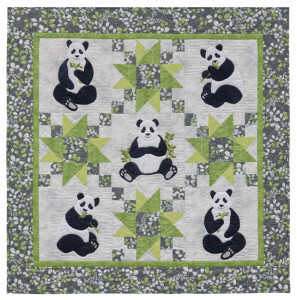 The mystery includes three embroidered panel patterns and one that includes the piecing instructions to complete the quilt. 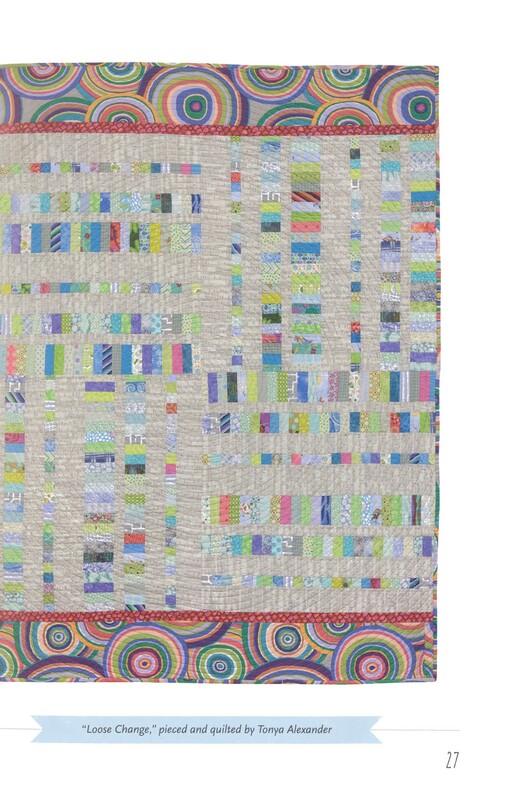 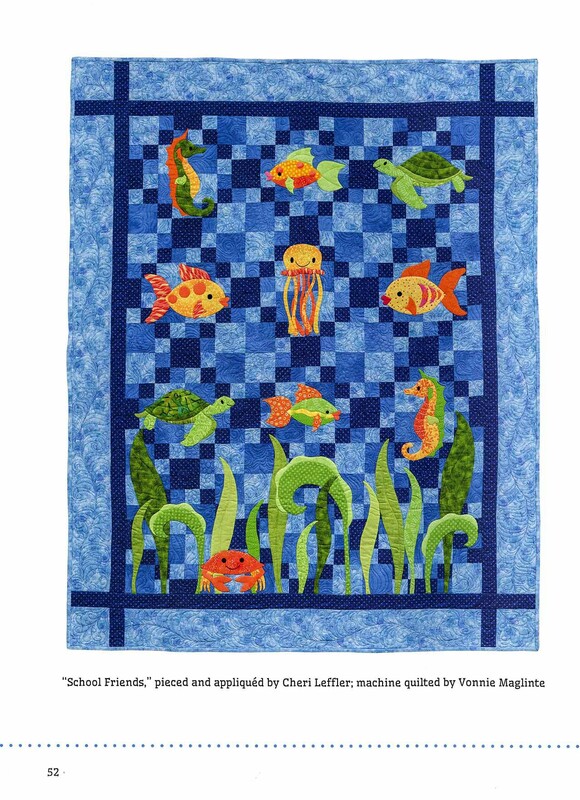 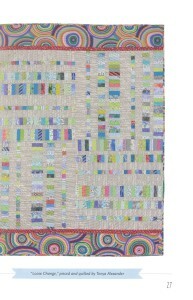 The final quilt measures 57″ x 72″. The second panel will be available soon. 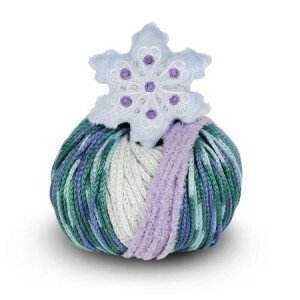 Visit our website to see the entire line of Cosmos floss that Meg recommends. They are listed as companions for each panel. 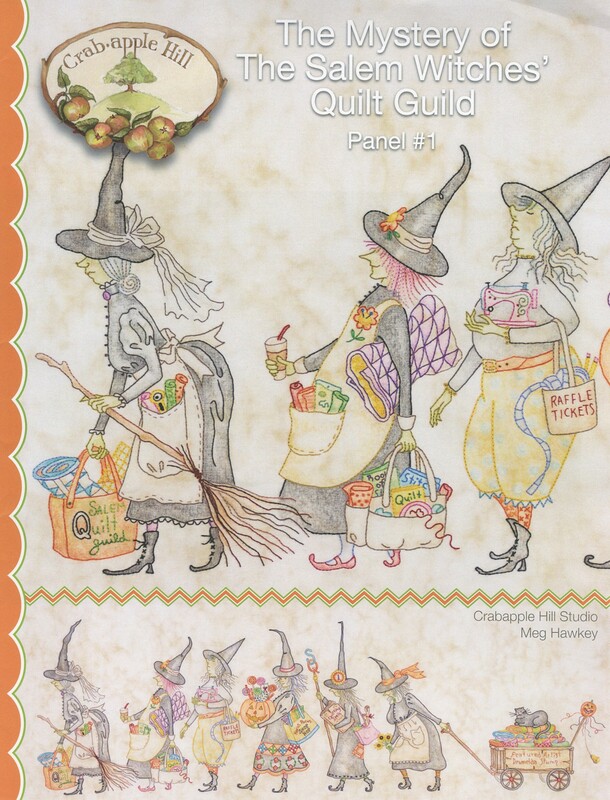 Why not join the Witches Quilt Guild meeting and get to know the entire cast of characters. Great Granny would be Proud! 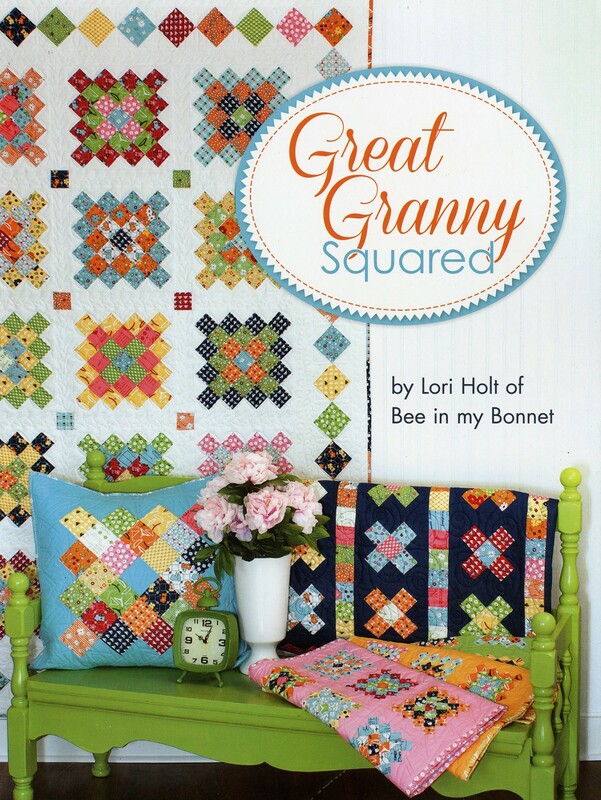 Great Granny Squared is the second collaboration between Lori Holt and Its Sew Emma – and brings back memories of the Granny Square afghans that were our grandmother’s answer to scrap yarn! 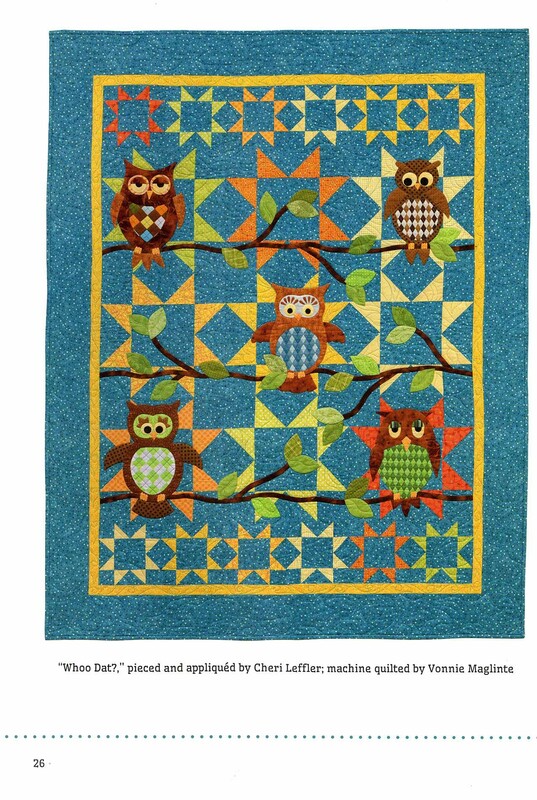 Personally, I have a wool afghan that my grandmother made for my parents when THEY got married in the mid forties. It is one of my most treasured possessions and holds a place of honor in my guest room. 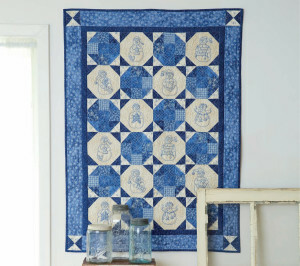 Now I can make a companion quilt to coordinate in the room! 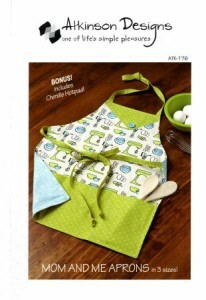 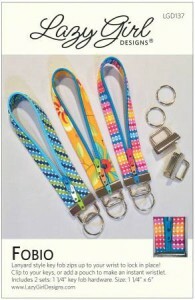 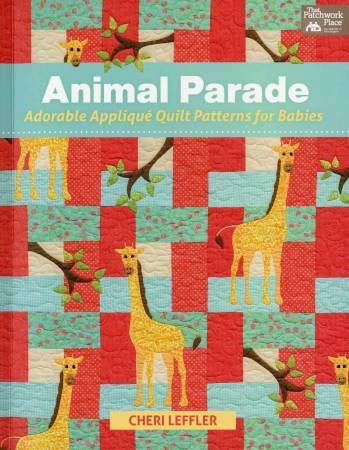 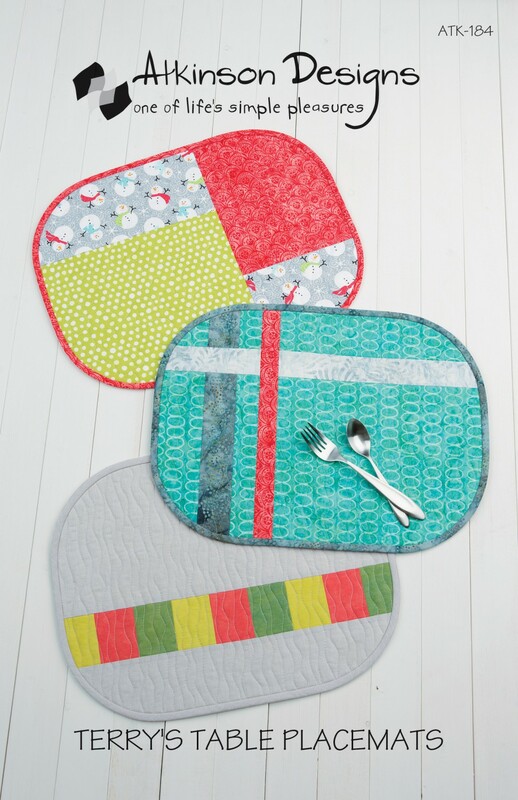 The book includes four different patterns to choose from! 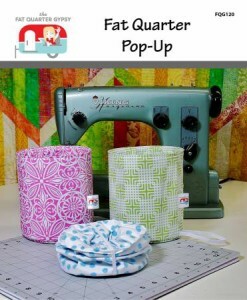 The hard part is going to be choosing which one! 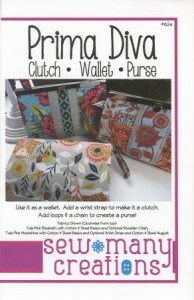 Bonnie Sullivan has done ti again! 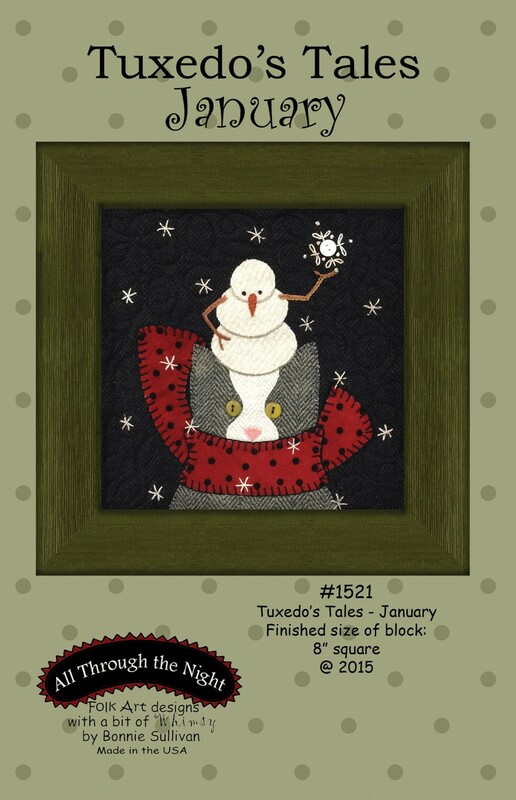 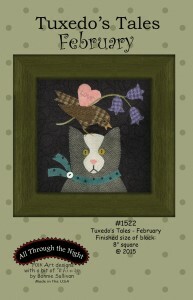 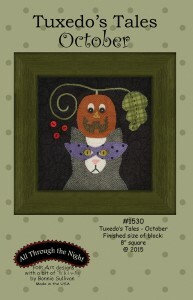 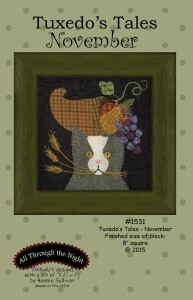 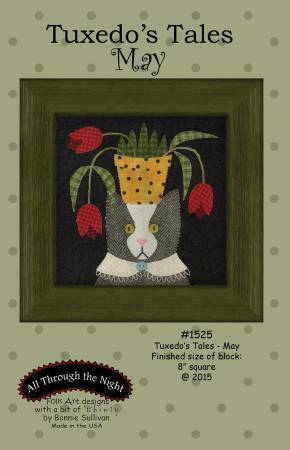 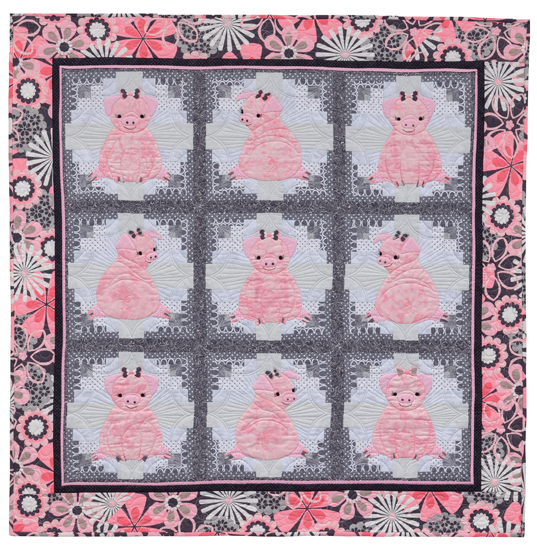 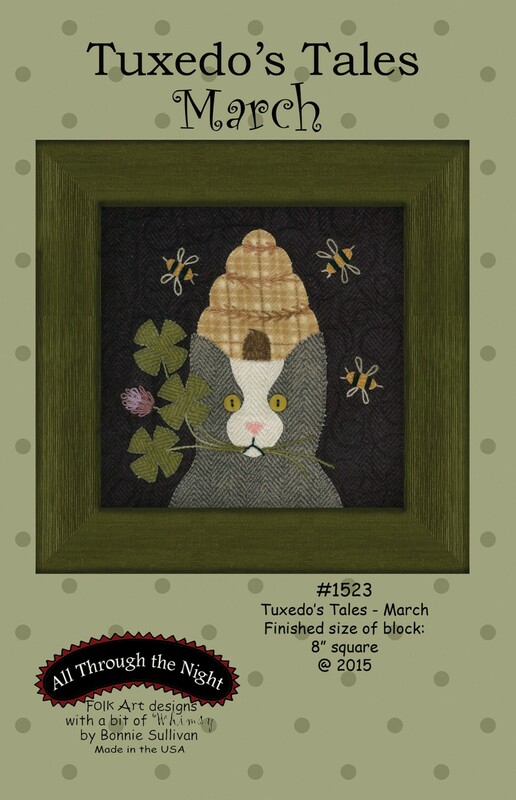 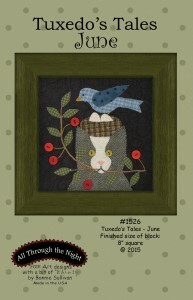 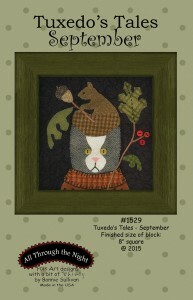 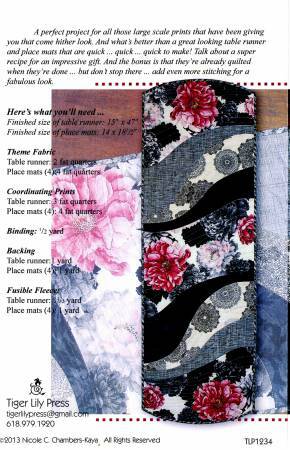 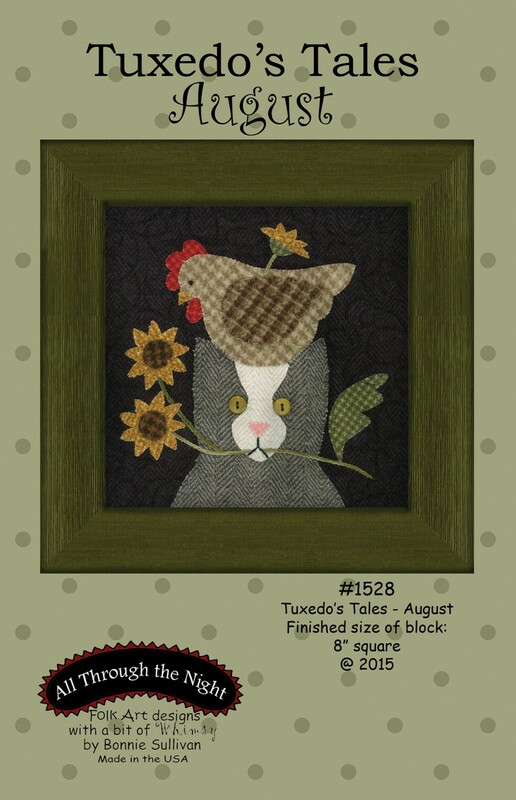 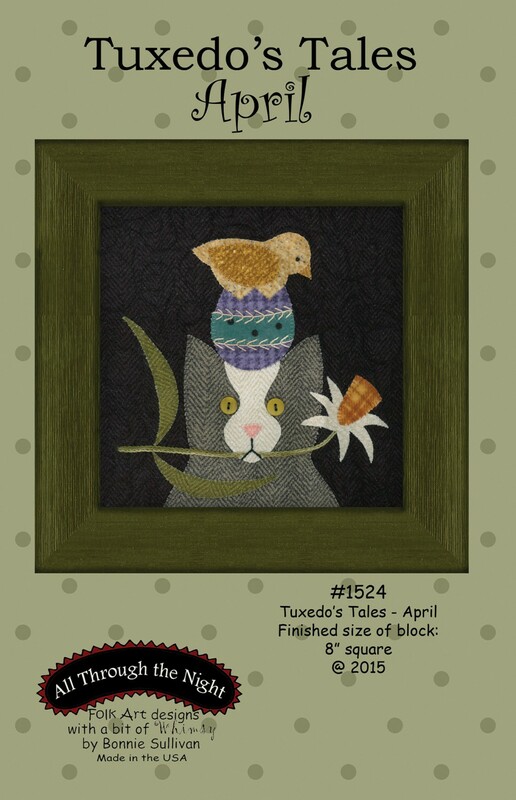 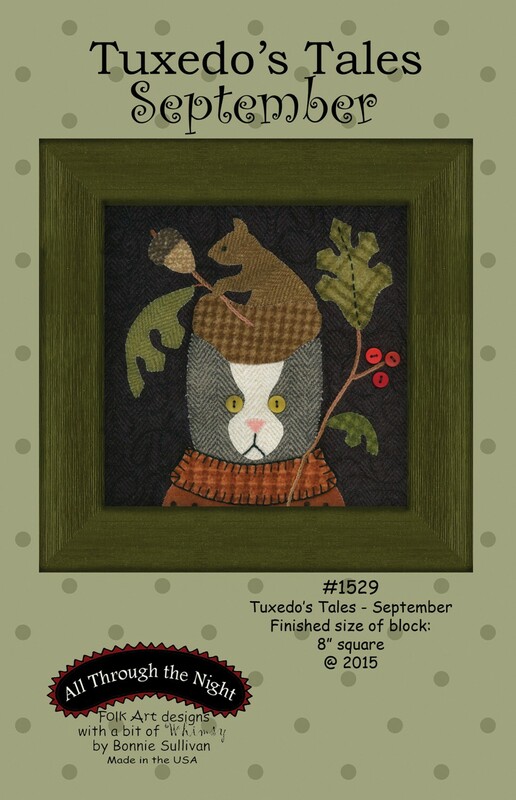 She has created a wonderful Block of the Month series called Tuxedo’s Tales. 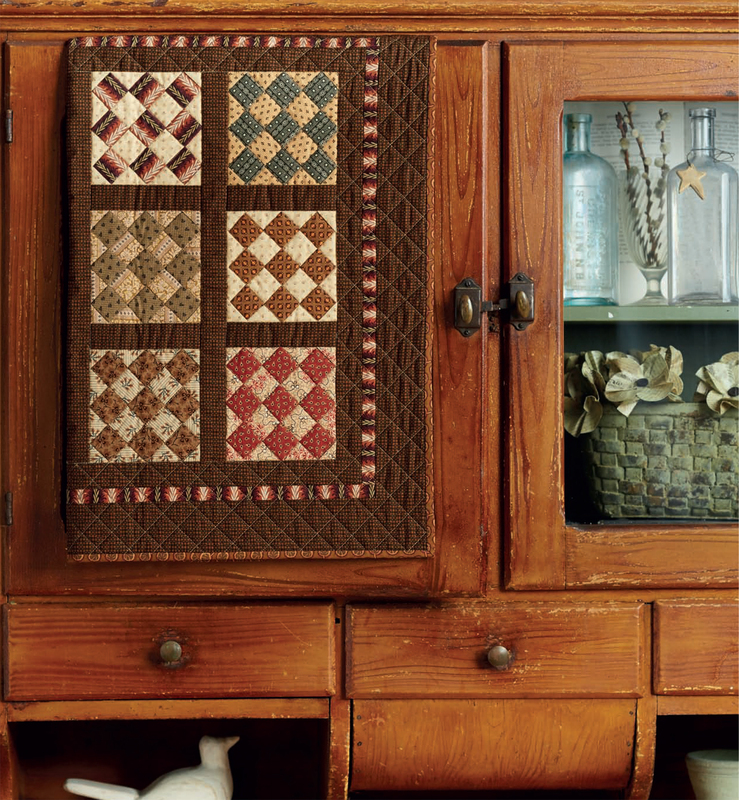 Whether you choose to display them framed on a foyer table each month or sew them into a quilt, the end result will be charming! Simple button embellishments add the awe factor. Bonnie fusible of choice is Soft Fuse. 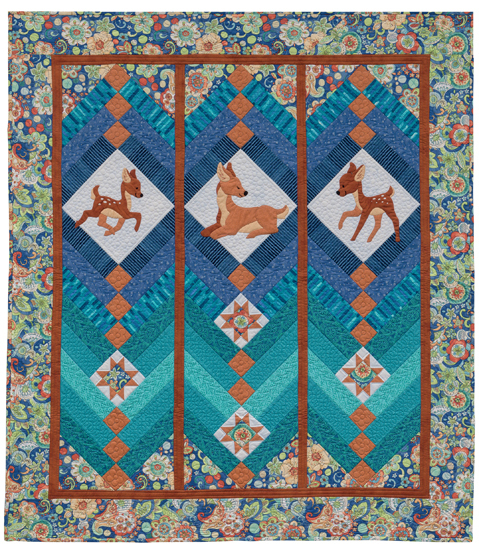 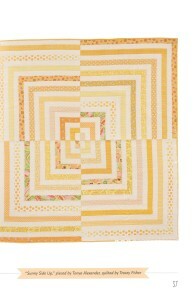 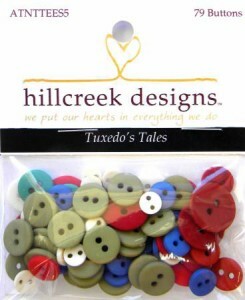 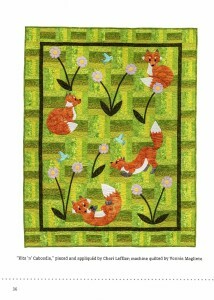 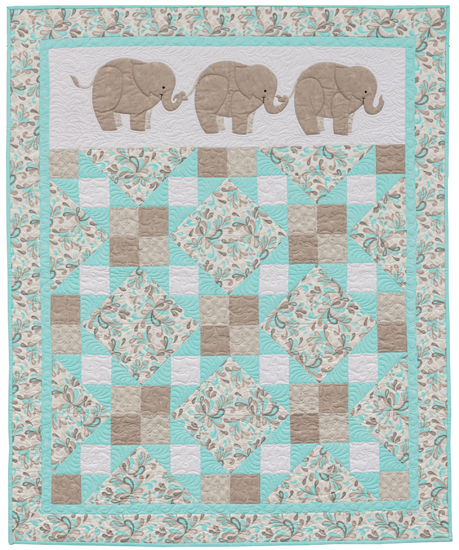 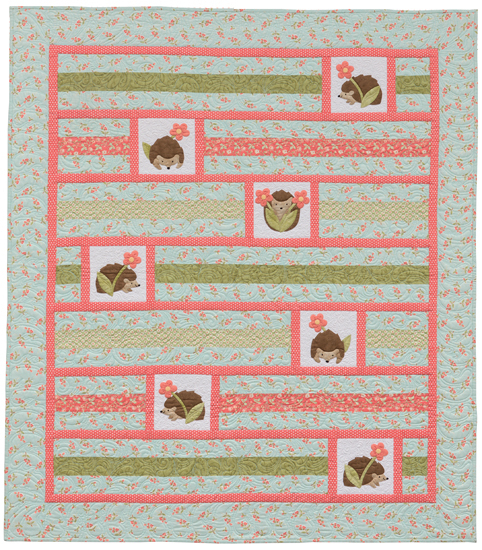 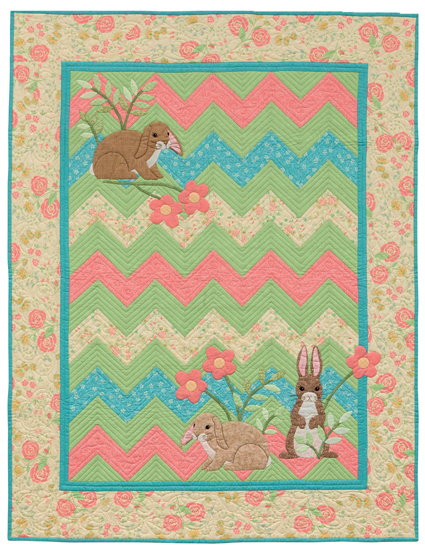 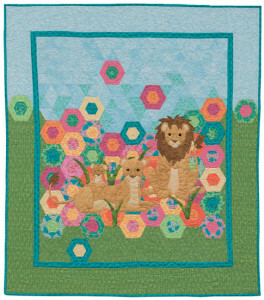 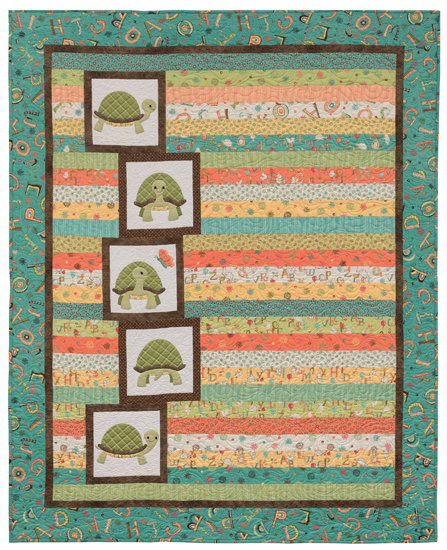 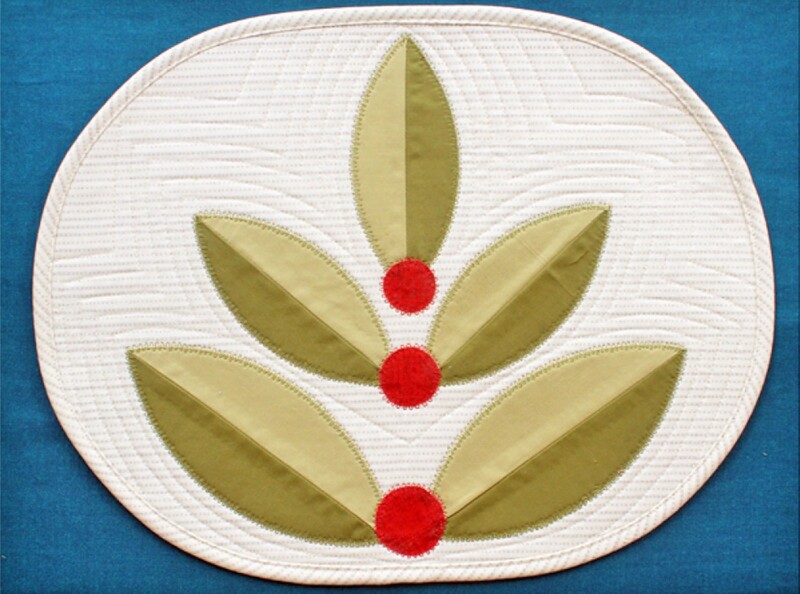 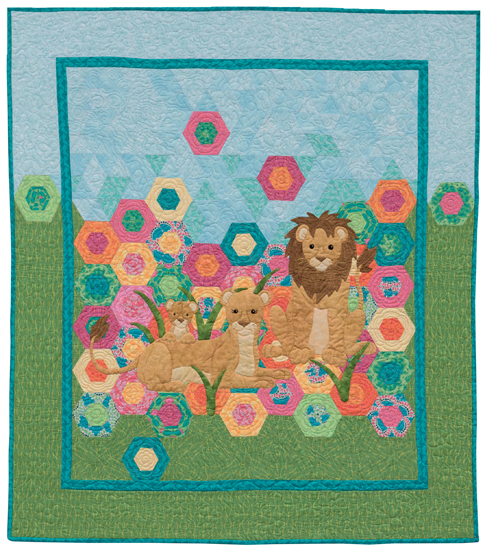 This particular bundle includes twelve 18 inch by 3 yard pieces – enough for all of the appliques. 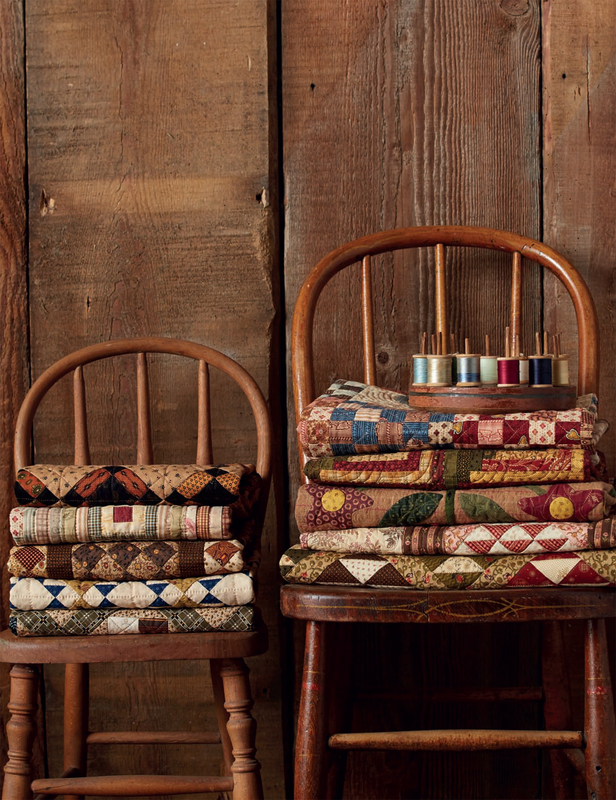 And of course Bonnie has created a thread set as well. 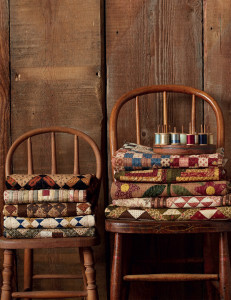 And it was all created with her Maywood fabric line – available in two shipments. 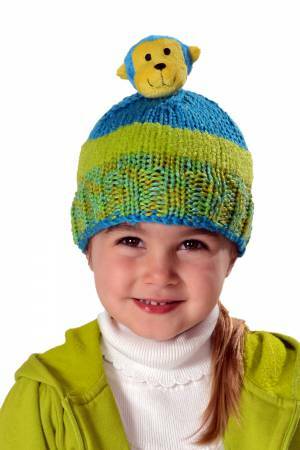 (Item #MASTUTCA-1 and #MASTUTCA-2). 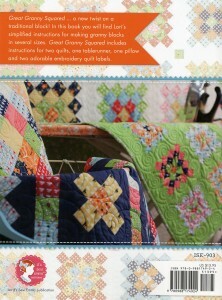 Why not start your next heirloom today?? Tis the season. 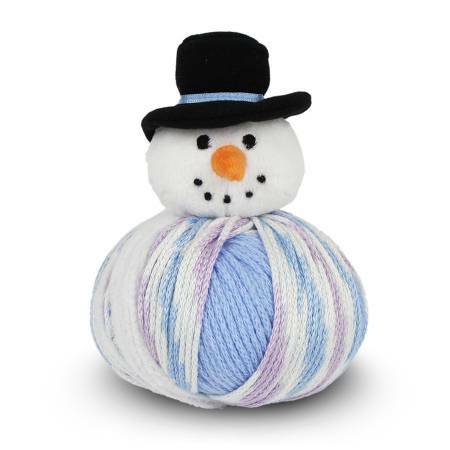 Our town had the first snow day today. 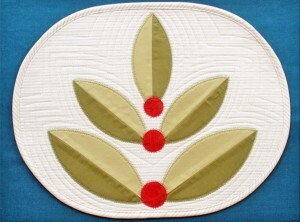 What is better on a snow day then to be sitting by a fire doing your favorite needle art. 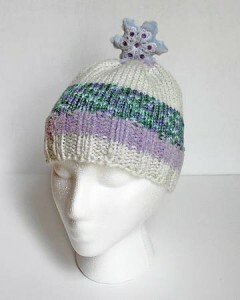 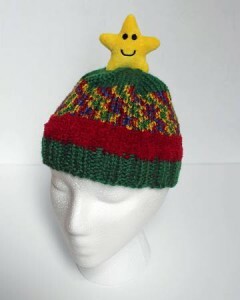 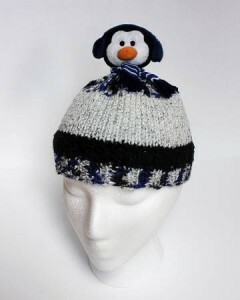 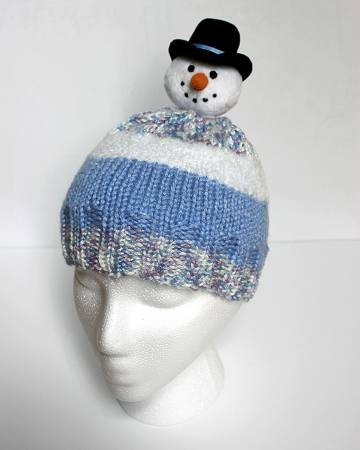 These cute hats can be made in one sitting and have tons of personality. 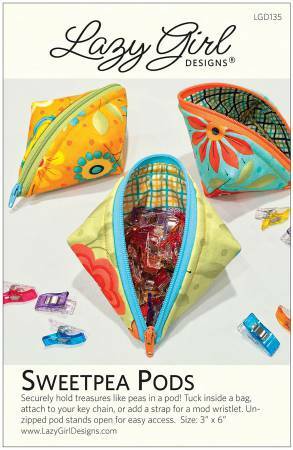 The packaging is irresistible! 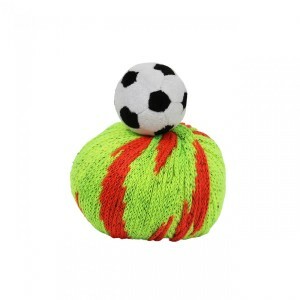 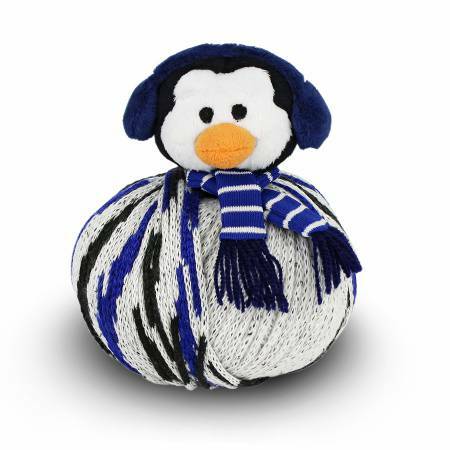 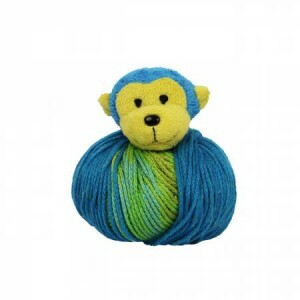 The yarn automatically creates the stripes and there is even a grommet to hold the little stuffed animal on securely. They come in a wide variety of choices…. 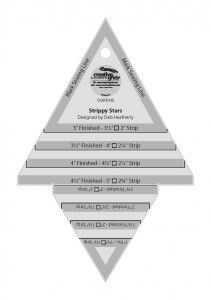 Display these at the register. Your customers will want one – one for each child that is! 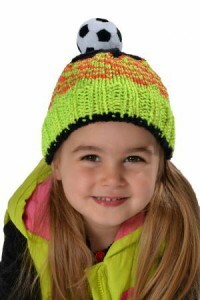 Visit our website to see the entire Top This collection!